Modernizer for Sharepoint seamlessly and efficiently migrates your existing Classic content pages to the Modern Sharepoint experience. 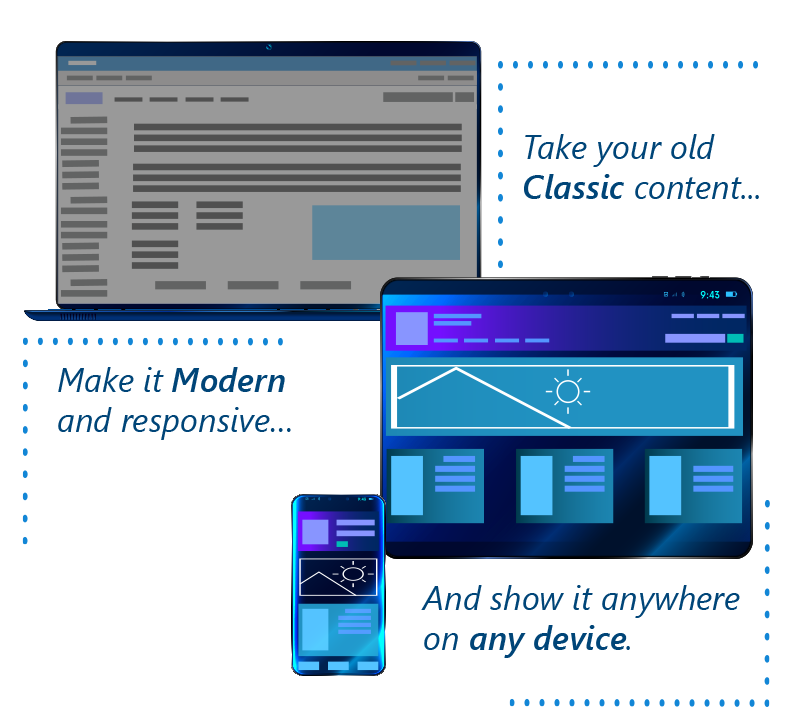 Modernizer will breathe new life into your existing content and fast-track your ability to provide rich web-based content to your SharePoint users. 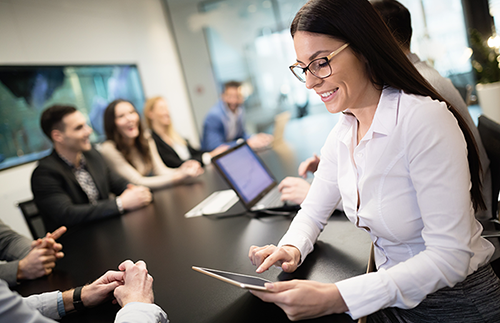 Providing your employees and customers with access to the right content where and when they need it is a key driver to increase productivity and efficiency. 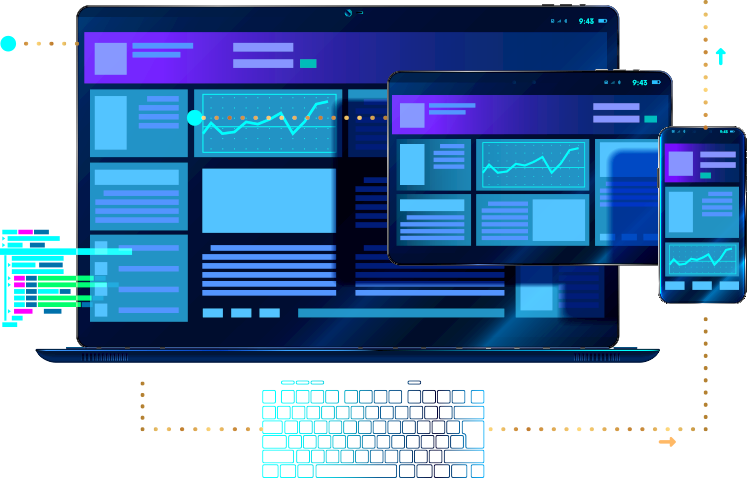 The Modern Sharepoint user interface provides rich web-based content onto any device, increasing the access and consumption of your key business information. However, the shift of existing Classic content and pages into the new Modern format can be an overwhelming task, with migration projects being both expensive and time consuming. Modernizer for SharePoint takes your existing Classic SharePoint pages and easily modernizes the content into Modern SharePoint pages, significantly reducing the time for content migration. It makes light work of what is normally a difficult, cumbersome and time consuming process. Remediation requirements highlighted for management of custom web parts. Most SharePoint users have been investing in their corporate content for years, creating significant content sites with many Classic format pages. Experience shows it can take at least 2 hours per page to convert a Classic layout to Modern, using the usual ‘cut and paste’ approach. However, using Modernizer for SharePoint can reduce the migration time per page by up to 80% – often higher when the bulk page migration process is implemented. This shifts what is a significant costly project to a simplified ‘business as usual’ approach, that can be completed by non-specialist staff. SharePoint users will be able to access your existing content in rich, web-based format, anywhere on any device before you know it. Text, Images, videos and list views are converted into separate modern web parts. Support for Publishing, Wiki and Web part page layouts. New Banner styles and title options supported. Increase efficiency with either page-by-page or bulk migration. ‘Remediation Information’ placeholders identify unsupported Classic web parts. Metadata fields migrated automatically between matching field names. Pre and post migration reports as standard including ‘inspect-only’ mode. Identify any possible issues upfront and plan remediation ahead of time. A step-by-step guide to validate and notify of areas to look out for.